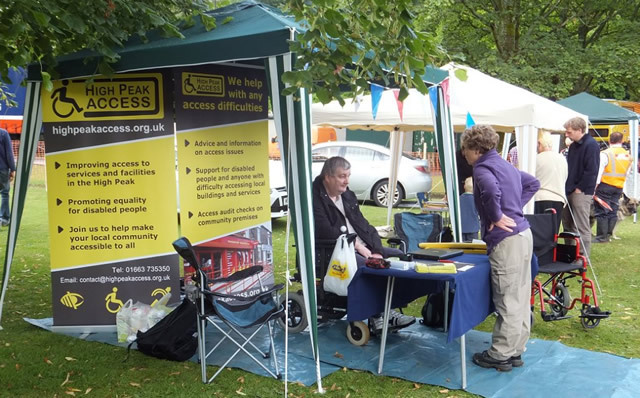 High Peak Access had a stall at Glossop Carnival this year and we were able to meet lots of people, some old friends and lots of new ones who took an interest in the work we are doing. We highlighted the current difficulties that pedestrians are having gaining access to the relatively new retail development at Howard Town Mill on Victoria Street in Glossop. We have had many meetings with High Peak Borough Council and the developers. There are a number of examples of poor design for pedestrians and wheelchair users that need addressing. 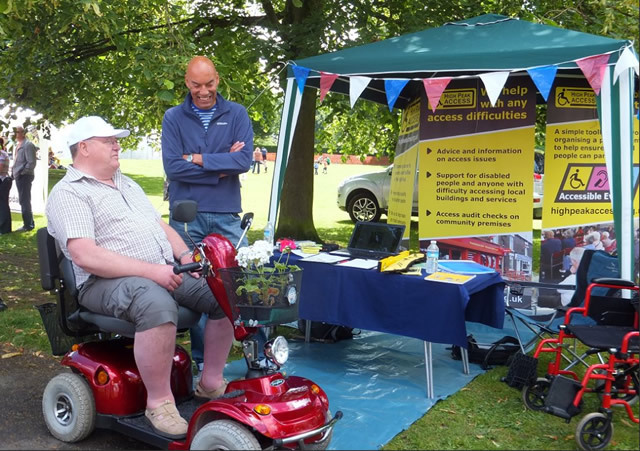 We found many people who had experienced difficulties moving around the site and we had many signatures on a petition that we will present to the council and developers requesting that these access issues are addressed. The Carnival was very well attended on the same weekend as the Tour de France sped through Yorkshire and touched Derbyshire along the Woodhead Pass. 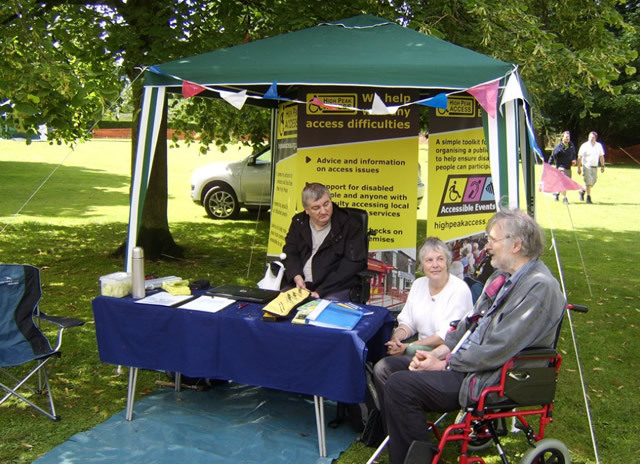 We met someone who had an access issue related to the Register Office in Glossop and we have visited the office and raised the need for a ramped access and hearing loop with the Registrar. Derbyshire County Council, who are responsible for the Register Office are currently investigating these issues. If you want to know more about our Howard Town Mill campaign or have any other access issues please contact us through this website. Make sure you leave your contact details or we will not be able to reply directly to you.